Sarkari Yojana » Central Government » National Health Protection Scheme (NHPS) – Rs. 5 Lakh per Family by Central Govt. 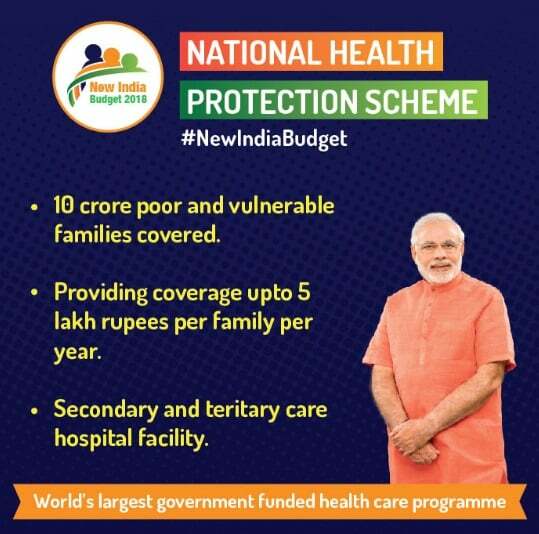 National Health Protection Scheme (NHPS) – Rs. 5 Lakh per Family by Central Govt. 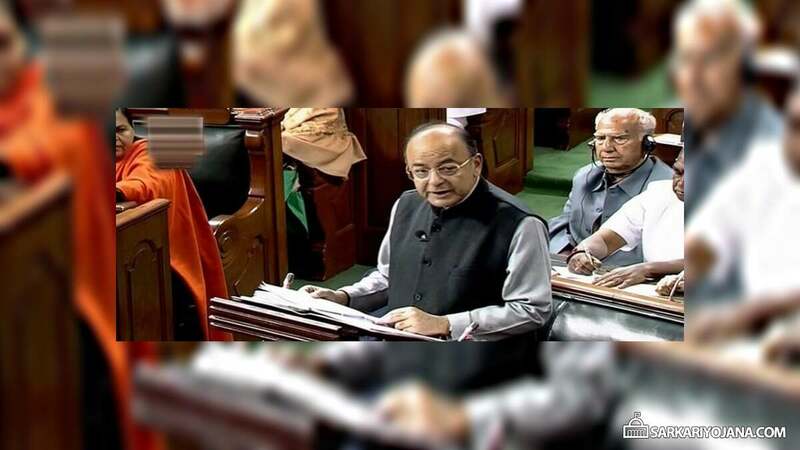 Central government in its union Budget 2018-19 has launched the much awaited National Health Protection Scheme (NHPS). Subsequently, govt. will provide Rs. 5 lakh to each family for secondary and tertiary hospitalization. Accordingly, this mega Health Protection Scheme / Ayushman Bharat Scheme announced in Union Budget 2018-19 will benefit around 10 crore families (50 crore people) across the country. Latest Update – Check PMJAY Private / Govt. Hospitals List to find Ayushman Bharat empanelled hospitals. Pradhan Mantri Jan Arogya Abhiyan to start from 25 September 2018. First Health and Wellness Center is opened at Jangla, district Bijapur, Chhattisgarh. See List of Services at health and wellness centres under Ayushman Bharat Yojana 2018. Treatment Package Rates for 1352 medical inspection and surgeries are finalized by the govt. and will soon be uploaded on the NHPM Portal. Currently, Central govt. is providing Rs. 50,000 as health insurance coverage for economically weaker sections under Rashtriya Swasthya Bima Yojana (RSBY). Henceforth, this amount is not sufficient to cover most of the costly medical procedures. Thus, Central govt. will provide additional Rs. 50,000 benefit to senior citizens for investment in mediclaim. Thus, Central govt. has decided to launch National Health Protection Scheme. Accordingly, this scheme is a path breaking announcement for the health care sector. Ayushman Bharat Programme will enhance the coverage and the amount required per family to avail better medical facilities. Henceforth, this Universal Health Protection Scheme will realize the most important aspect – “Health For All” and progress India in the next generation of social security. In addition to this, govt. will also spend Rs. 1200 crore for the Ayushman Bharat Programme to set up wellness centers and healthcare clinics. Furthermore, govt. will also spend Rs. 600 crore to provide nutritional support to Tuberclosis patients. i wish to empanel my multispeciality hospital with ayushman yojana. The central scheme for medical facilities and support is fine. Health care clinics should be organized by NGOs. is RSBY/ SSK card covered under the Bhart Ayushman progman ?